How do I identify a CD and DVD? Step 1: Place the disc underneath the light. 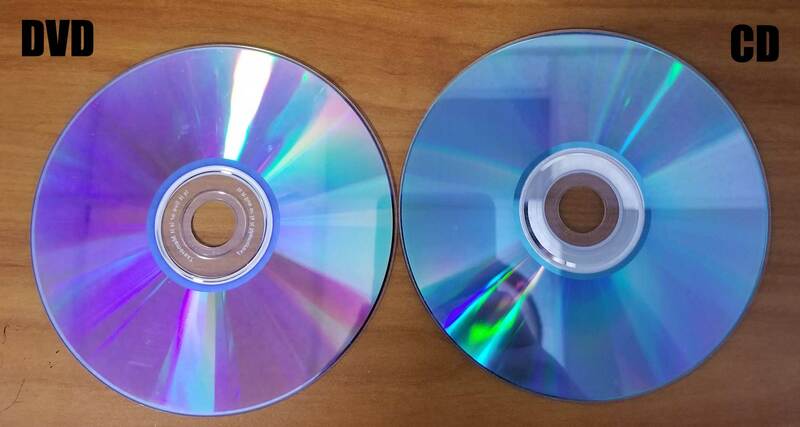 A DVD will have a purple tint while a CD will have a green tint.